Ambe r Distribution Latvia, part of Amber Beverage Group, has received the exclusive rights to distribute the innovative, sugar free soft drink ‘Green Cola’ in Latvia. ‘Green Cola’ aims to provide a healthier cola alternative, sweetened by the natural stevia plant and caffeinated with green coffee beans. It contains no sugar, preservatives or the artificial sweetener aspartame. According to latest sales data, sugar- free ‘Green Cola’ is highly sought after – the sales volume planned to achieve in 2 months was reached in a mere 2 weeks’ time – informs Dace Gūža, representative of Amber Distribution Latvia and the Local Category Manager. “We are very glad to be offering this healthy opportunity in the soft carbonated drink category to the Latvian consumers. We have noticed that stevia as a sweetener is quite well known and very well received by consumers. 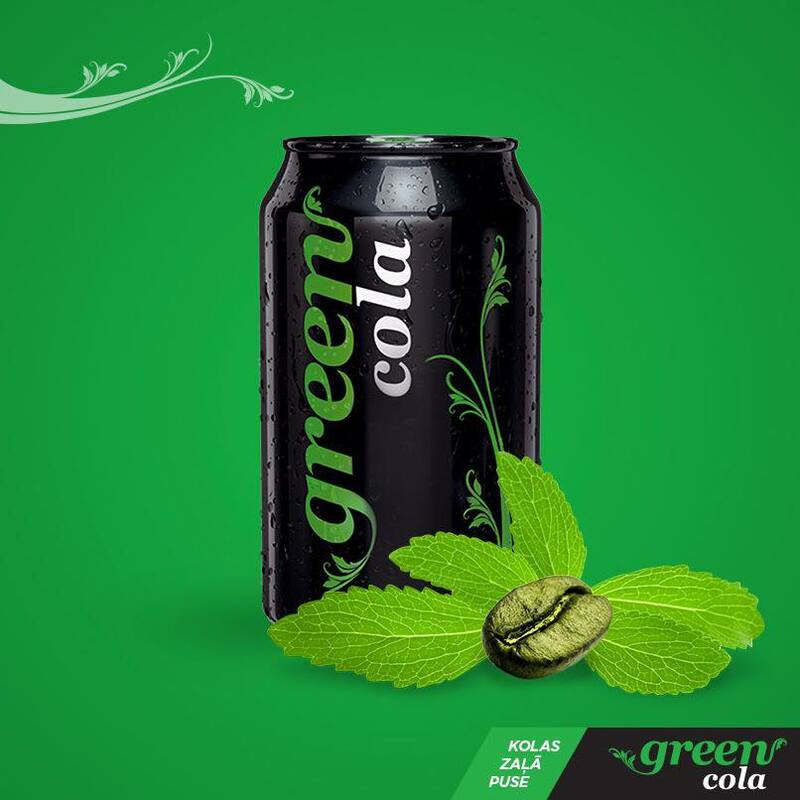 During tastings done amongst 7 000 consumers, we received highly positive feedback on Green Cola”. The taste of cola is very popular and represents one half of the global soft drink market today. The cola flavour has even transcended the soft drink market, but the one thing most cola-flavour products have in common would be a large dose of added sugars. ‘Green Cola’, produced by the ‘Green Cola Bottling International’ (Greece), offers a new way to enjoy the taste of cola while not having to worry about the tremendous sugar content, artificial flavours and sweeteners that most carbonated drinks contain. ‘Green Cola’ is available in 330ml cans and 1.5L PET bottles. The drink is already listed in more than 1400 sales points in Latvia, including the Latvijas balzams specialized beverage stores, and soon will be available in the largest retail chains as well. Besides ‘Green Cola’, Amber Distribution Latvia also represents a number of globally known non-alcoholic beverage brands like Red Bull, Vittel, Perrier and coffee brand Cortese on the local market. 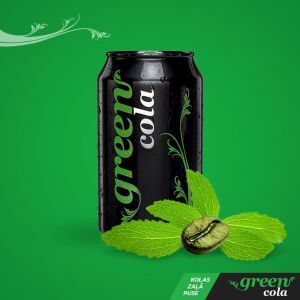 ‘Green Cola’ is the first cola-style soft drink sweetened with stevia, combining the beloved taste of cola with nearly no calories, no aspartame, no sugar, no artificial sugar substitutes or other health-compromising ingredients, no preservatives, no phosphoric acid, with caffeine form green coffee beans. ‘Green Cola Bottling International’, the producer and brand owner itself says they are developing “the green side of soft drinks”. Globally the uniqueness, innovation and authentic taste of Green Cola succeeded in gaining the preference of consumers presenting a steady growth in many markets. Since the launch of Green Cola in 2012, it is registered in more than 100 countries and available in Greece, Cyprus, Germany, UK, Hong-Kong, Yemen, Morocco, Switzerland, Spain, Austria as well as other markets. Over 200 scientific studies have shown that stevia sweeteners do not contribute calories or carbohydrates to the diet and do not affect blood glucose or insulin response, which also allows people with diabetes to consume a wider variety of foods and comply with a healthful meal plan. Plant-based, zero calorie stevia can be part of a well-balanced diet to help reduce energy intake without sacrificing taste.